It turns out that many Jamaican music lovers are crazy about Air Supply—a counterintuitive but irrefutable fact that was proven beyond a shadow of a doubt when the group first performed at the 2006 Jamaica Jazz & Blues Fest. According to Billboard’s Pat Meschino, “Air Supply has performed five times on the island since 2006, including twice at the Jamaica Jazz and Blues Festival, most recently in January 2011.” Rusell was quoted in that same Billboard piece as saying that “Jamaica has become a place we want to go back to all the time now, because the audiences are just fantastic.” Ditto for Jamaica Queens, apparently. The obvious question is why? Blame it on the eclectic taste of the average Jamaican music fan—and their appetite for melodramatic lyrics that occasionally veer dangerously close to cheesiness. 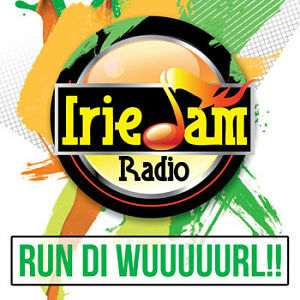 Such realities are widely misunderstood by those who imagine that Jamrock is awash in reggae and dancehall 24/7. A wide range of pure pop acts—from Celine Dion to Soft Cell to Kenny Rogers—get nuff respect dung ah yard. And it doesn’t hurt when the artists show a little vicey-versy love. “Jamaicans have fallen in love with Air Supply all over again, because the band they knew only from cassettes, vinyl and dvds have become a band they’ve seen live on more than one occasion, those that have seen them at The Air Jamaica Jazz & Blues Festival, that is…” said one YouTube commenter who goes by the handle fishandfestival. Boomshots spoke with Lord Graham Russell, the taller, guitar-playing half of Air Supply, to get his thoughts on the Jamaica’s Air Supply obsession. BOOMSHOTS: HELLO SIR. I’VE BEEN TRYING TO REACH YOU FOR A COUPLE OF DAYS. Lord Graham Russell: I’m sorry we keep missing each other. I’m just working on songs and I have my headphones on. So… But I’m sorry about that. DONT BE SORRY—WORKING ON NEW SONGS IS EXACTLY WHAT YOU SHOULD BE DOING. THIS COMING WEEKEND YOU’LL BE PERFORMING AT GROOVIN’ IN THE PARK, WHERE YOU GUYS WILL BE THE ONLY NON-JAMAICAN ARTISTS ON THE BILL. OBVIOUSLY AIR SUPPLY HAS BEEN A WORLDWIDE PHENOMENON. BUT WHEN DID YOU FIRST BECOME AWARE THAT YOU HAD SUCH A PASSIONATE JAMAICAN FANBASE? Well it’s very strange. Several years ago we were invited to Jamaica to play the Jamaican Jazz and Blues Festival. We were kind of a little perplexed at first because we’re definitely not jazz and we’re definitely not blues. But when we got there, we realized that there was a lot of people that really were into Air Supply music. I mean we’ve played the Caribbean. We’ve been all over the islands of course. But when we first got to Jamaica it really took us by surprise. And I thought “Oh my.” So now they’ve kind of accepted us into their culture, which I think is great. And I think, especially on this show on the 29th it’ll be people that haven’t seen us or haven’t been to this particular festival might think, “Wow, what’s Air Supply doing here? But I think it’s a nice mix. I really do. We were very pleasantly surprised when we first found out. I WAS NOT THERE WHEN YOU DID THAT FIRST JAZZ & BLUES PERFORMANCE IN 2006. BUT ALL OF THE CAB DRIVERS REMEMBER THE ENORMOUS CROWDS. IT WAS A VERY GOOD NIGHT FOR THEM. [Laughs] Isn’t that weird? I mean it’s great. You know. But I think it’s just the joining of two completely different kinds of music. And I think it’s a compliment to those. But it’s great for the music, for the reggae music, for the Jamaican and Caribbean music. Which I’ve always loved, but we’ve never done. But it’s a great blend I think. HAVE YOU HEARD ANY OF THE REGGAE VERSIONS OF SOME OF YOUR HITS? THERE ARE SOME REALLY GOOD VERSIONS OF SONGS LIKE “HERE I AM” AND “JUST AS I AM.” YOU SHOULD CHECK THEM OUT. IT’S A TRIBUTE TO YOUR SONGWRITING AS MUCH AS ANYTHING. Thank you. I’d love to hear them. That’s a nice compliment. It’s funny, we’ve been together a long time as you know, and now many things like that are happening. People are starting to rework the songs a lot more—quite a lot more, in different versions. But I’ve never heard any reggae versions. I’d like to though. WHAT ARE SOME OF YOUR FAVORITE JAMAICAN SONGS AND SINGERS? Well I’m a big Bob Marley fan of course. I think the whole world is. I mean, that’s what really got me turned on to it. In 1984 we did an album on Montserrat, the Caribbean island, which got leveled actually. But we went to a studio there and made an album, and that’s where I really got exposed to it. Because we’d record in the day and we’d go and hang out—I think it was a place called “The Chicken Shack.” It was a local hole in the wall but we’d go there and they had this reggae band on and they were just fantastic. And we’d sit there eating jerk chicken and listening to reggae all night until like 3 in the morning. And that’s how I really go into it. I thought “Wow, this is really cool.” It was a pity a hurricane came and leveled the studio and everything on the island. THAT IS TOO BAD. BUT IT’S NICE TO SHOUT OUT THE CHICKEN SHACK. One of my best memories ever of that time. It was 84, we’d already had a lot of success, but we were just getting exposed to a lot of different places and finding out what’s going on in the world. And that was part of it. I’ll never forget that, it was great fun. Just hanging with he reggae guy until 2 or 3 in the morning. He’d be screaming at the top of his voice. It was great. YOU NEVER SAT IN WITH THEM, DID YOU? No I didn’t. Playing reggae is very difficult. You’ve really gotta have it in your genes. It’s the whole thing. It’s either there or it isn’t. I never really tried to play it but it’s really difficult. You’ve really gotta count the rhythm. It’s what you don’t play that makes the difference. I’VE READ THAT 1980 WAS A TURNING POINT FOR THE GROUP. THAT WAS THE YEAR YOU CONNECTED WITH CLIVE DAVIS. That is right. He was very influential in our career. He really took us under his wing. And I don’t know why, but he just did. I think Arista Records was quite new then and he needed to make an impact. The other artist he had at the time was Barry Manilla, and he was having success with Barry. And we came along with a different kind of music and he just grabbed it. We did “Lost in Love” and he released that and then he just took us under his wing for several years and it was just amazing. He was the most influential music executive in the world, and maybe he still is today. HE CERTAINLY HAS AN UNPARALLELED ROSTER OF STARS. Yeah, we were very lucky that he heard “Lost in Love” and we were available, and it was just the universe saying ‘OK guys, it’s your time now.’ And it was. Cause we didn’t know him at all before that. And we became his band and he was with us for 5 or 6 years. He was very instrumental in our success. He guided us—what we should release, what we shouldn’t. We’ve been all over the islands of course. But when we first got to Jamaica it really took us by surprise. And I thought “Oh my.” So now they’ve kind of accepted us into their culture, which I think is great. WHEN YOU DO YOUR NEW MUSIC IS IT STILL AIR SUPPLY OR DO YOU DO OTHER PROJECTS AS WELL? THE NAME OF THE BAND HAS ALWAYS INTRIGUED ME. HOW DID YOU COME UP WITH THAT? So I woke up and I told Russell, and he said, “We don’t know what it means but we’ve gotta go with it.” And that was it. HAVE YOU WORKED OUT WHAT IT MEANS YET? Well there’s several reasons. One of them is, in classical music, an air means melody. And we certainly have a lot of beautiful melodies in our music. So Air Supply to me means just a lot of melody. …AND ALMOST AS HARD TO BELIEVE AS AIR SUPPLY HEADLINING A REGGAE SHOW. 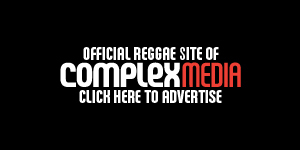 Previous postHEAR THIS: Kelissa ft. Chronixx "Winna" Next postReasoning with Machel Montano "You've Got To Be Yourself"
Great interview. Today’s show in Queens drew a huge crowd who sang along to every tune, and Air Supply even inserted a dub interlude into one of their hits!